Black Talkies on Parade presents the 2017 documentary KING IN THE WILDERNESS, directed by Peter W. Kunhardt on Saturday, January 26th @ 2:30 pm. 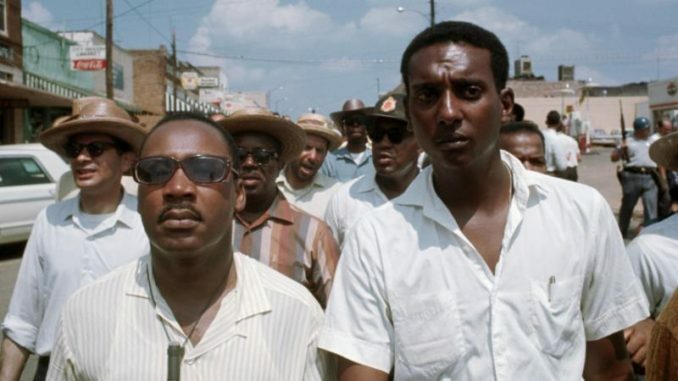 The film spotlights the last 18 months of King’s life and the challenges he faced as a civil rights leader both from the opposition and his own comrades. The documentary uses archival footage never before seen and interviews with some of King’s close friends and family. Celebrate Martin Luther King Jr.’s birthday with a new and compelling film about the last few months before his assassination. The afternoon will be hosted by Executive Director Lloyd Clayton and film committee member Shawnee Gibbs who will lead a discussion after the film.